Explore your creativity with instructor Shelley Stunell this September and October in a range of classes. Register early! (Registration form is below.) Maximum class size of 20. Pencils, rulers, erasers provided, or bring your own if you have them. Find an architectural scene: e.g. a town, city, farm buildings, cafe, etc., structures you like. Bring an 8 1/2" x 11” photocopy of the scene in black and white to the first class. 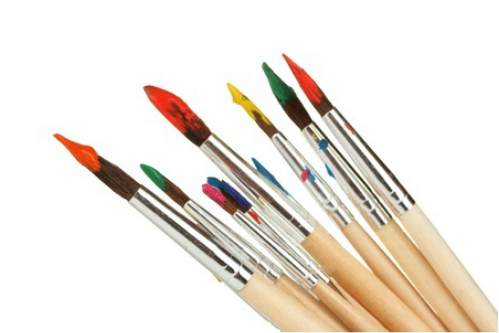 Novice students will use acrylic paints. Topic is a bathroom painting of subject matter: "Close-up of Flowers"
Thank you for your interest! These art classes are now full. Stay tuned for news about when the next session will be held.